Today is a very exciting day, it sees the launch of Holistic Green Beauty a line created by former Green beauty blogger Danny and his partner Scott. Danny has been a friend of mine since we met through blogging, I have been privileged enough to chat to Danny about the range from the moment he started formulating it and have witnessed first hand the knowledge, passion and hard work that have led up to the launch. For that reason, rather than bringing you another product review I wanted to hand over to Danny and Scott so they could explain this special range for themselves. So how did the range come about? Whilst studying an Environmental Science degree at Bournemouth University at the age of 20, Danny was diagnosed with a condition called Ehlers-Danlos syndrome (EDS). His dermatologist advised Danny that he would be susceptible to signs of premature ageing. Due to the fear of this, Danny adopted an organic lifestyle and discovered organic and natural beauty products. Disappointed with what was available Danny started research into natural ingredients and remedies that would halt the skin ageing process and began his mission to create Holistic Green Beauty and was later joined by his partner Scott. As a teenager Scott was a severe acne sufferer who had tried many medicines prescribed by his doctor and dermatologist however, his acne got worse over time. At the age of 18 he met Danny and gained a huge interest in skincare and general well being. After years of research into natural ingredients and the power of nature, Scott was able to cure his acne condition based on natural remedies alone. 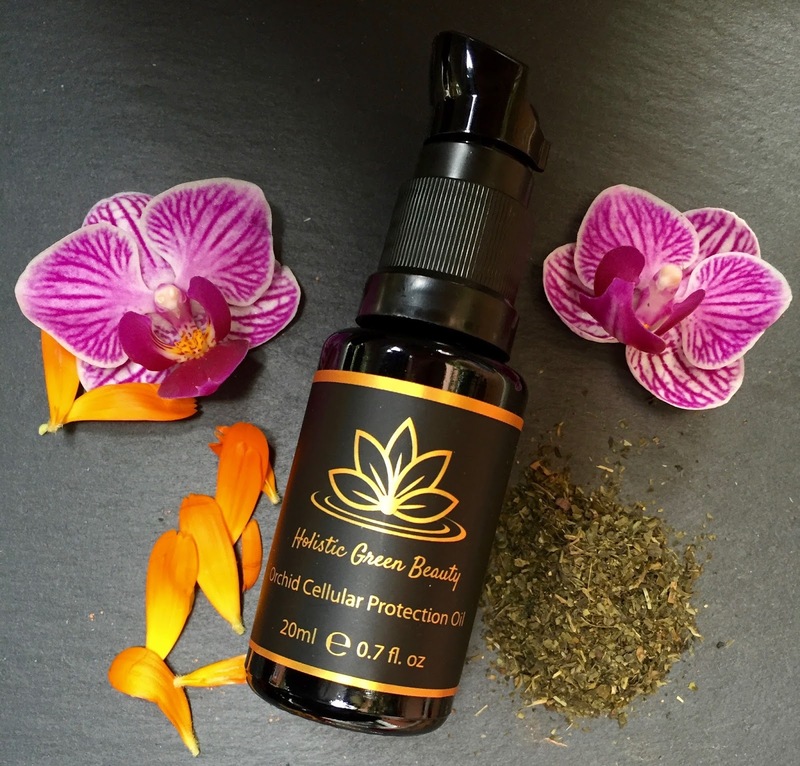 Combined with Danny’s knowledge and passion they have now made their dream a reality by launching Holistic Green Beauty Skincare. AGG: Hi Danny and Scott, tell us about Holistic Green Beauty and what we can expect? 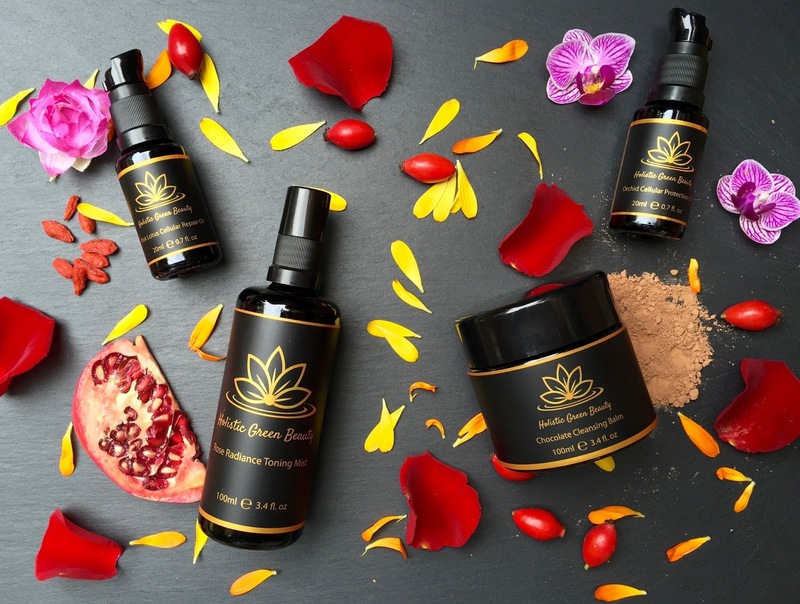 The Holistic Green Beauty organic skincare line has taken three years to develop. Our products are steeped in organic plant extracts, botanicals, antioxidant rich plant oils, essential oils and active anti ageing ingredients. It has always been a passion of ours to bring effective, high quality, luxury and 100% natural skincare to the market. Our aim is to make beautiful fresh high potency and effective skincare that everyone can enjoy. Holistic Green Beauty products are raw, hand crafted, 100% natural and high in organic and wild-crafted ingredients. We use the finest ingredients and no expense has been spared to create what we believe is the most luxurious, organic and natural brand on the market. AGG: You have always been passionate and knowledgeable about natural ingredients. Can you tell us about the star ingredients in the range and why you included them? 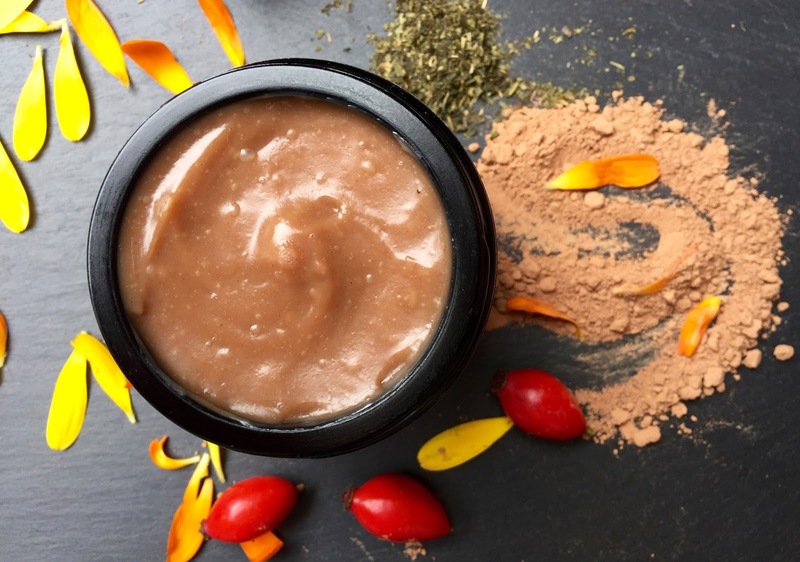 In the Chocolate Cleansing Balm we use rare Mafura Butter from Africa that hydrates, helps to reduce inflammation and redness, it is rich in essential fatty acids and has antimicrobial properties and has also been shown to scavenge free radicals. The Chocolate Cleansing Balm also contains potent antioxidant rich Green Tea, Açaí Berry, Rose Hip and Cacao Extract. Raw Cacao (also known as raw chocolate) is one of the world’s highest sources of antioxidants with an Oxygen Radical Absorbance Capacity (ORAC) of 955 units per gram. It is therefore exceptional at scavenging free radicals. This cleanser also benefits from containing anti-inflammatory Calendula and Copaiba that have great antibacterial properties. In the Rose Radiance Toning Mist we have hydrating organic floral waters of Rose, Ylang Ylang and our favourite, Elderflower. Elderflower water used to be very popular in Victorian times and it has somewhat been lost and forgotten. Elderflower water is a great anti-inflammatory and said to keep skin bright, blemish and wrinkle free. We are excited to be bringing this amazing ingredient into our skincare range. This toning mist contains Vitamin C, Organic Pomegranate extract, Marine Collagen Peptides, Resveratrol (from Japanese Knotweed), hydrating Hyaluronic Acid and a special lifting complex – all with anti ageing benefits. We like to call it our elixir! Where to start with the Cellular Oils? In the Orchid Cellular Protection Oil there are so many amazing ingredients. It contains protective Orchid that is rich in minerals found naturally in the skin, such as calcium, magnesium, zinc, iron and copper. There is rare Ximenia from Africa, this is one of our favorite oils, it’s beautifully rich and it also has restructuring and anti ageing effects on the skin. This oil also contains other organic African oils of Free radical scavenging Marula and Essential Fatty Acid potent Baobab. It benefits from containing Buriti and Green tea extract that aid in the protection from UV damage. Many of the ingredients such as Chia Seed aid in the prevention of wrinkles and restores elasticity whilst promoting cellular regeneration. Deeply nourishing Avocado, Evening Primrose and Macadamia Oils give skin optimum hydration. This anti ageing hydration oil also benefits from being divinely scented from Organic Essential Oils of Jasmine, Neroli, Bergamot (non phototoxic version of course! ), Sandalwood, Patchouli and Vanilla all with therapeutic benefits. What we love about this oil is that it acts as a protective shield by protecting the skin from stress and environmental aggressors such as free radical and UV damage, we recommend following with a sunscreen during the day for ultimate protection. Pink Lotus Cellular Repair Oil is rich in repairing ingredients such as calming Pink Lotus. The Pink Lotus houses natural alpha-hydroxy acids that help gently exfoliate the outer layer of skin, encouraging younger cells to rise to the surface. This helps cells repair and regenerate providing a youthful appearance. Organic Rose Hip and Argan help to repair sun damage and help healthy skin cell regeneration. Potent in antioxidant rich superfruits Açaí Berries, Goji Berries, Sea Buckthorn and superfoods Green Tea and Pomegranate all help to deeply repair and neutralise free radical and DNA damage, delivering anti ageing benefits. Organic Calendula extract acts as an antibacterial, anti-inflammatory, and has antioxidant properties helping to repair skin tissue. Vitamin rich and nourishing Avocado, Crambe seed and Sunflower oils helps to repair the skin’s barrier. Soothing and softening essential fatty acid rich Chia Seed, Baobab and Ximenia oils aid in the prevention of wrinkles and restores elasticity whilst promoting cellular regeneration. Extremely potent in Omega 3, 6 and 9, organic Sacha Inchi oil can assist in the prevention of Trans Epidermal Water Loss, improving the barrier function of the skin. It can also assist in the prevention of DNA damage and restoring skin softness. Powerful anti ageing actives Coenzyme Q10 and Acmella Flower Extract help to minimise the appearance of wrinkles, restructure, firm and smooth the skin’s surface, whilst helping to stimulate healthy collagen production. AGG: What have been some of the challenges and successes of creating your own range? The amount of research involved into getting the textures and fragrances correct. There were hundreds of batches and much trial and error until the final formulas were created to be perfect. Sourcing some of the rare ingredients was quite challenging. Also setting out to start our own business was a huge learning curve and it has been quite the journey! Successes have been creating four exquisite products that are unique and different to all other products on the market. AGG: What was your vision when you created Holistic Green beauty? Our vision was to create something different and unique that would make the consumer see results. We wanted to make products that were effective but also keep them 100% natural. 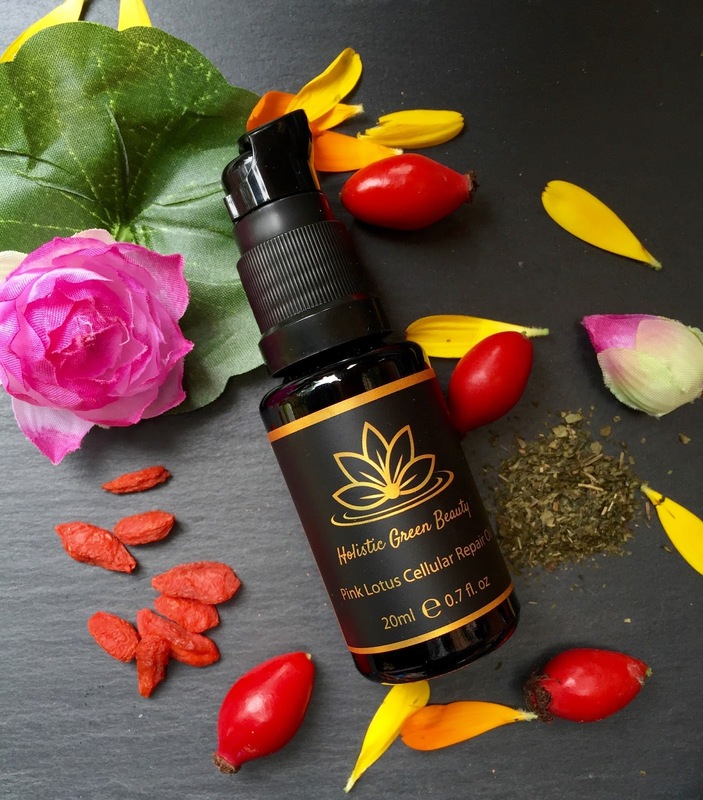 Holistic Green Beauty originally started out as an organic skincare blog and with the amount of research put into ingredients over the years, we realised so many brands contain cheap base ingredients that have very little effect but have the ’are you serious?’ price. We aim for Holistic Green Beauty to be different; our products are handmade and if you look at our formulas we use premium organic and wild-crafted ingredients in effective concentrations, that’s the difference. We also use pure and fresh ingredients meaning our products do not have a long shelf life (a year from when it is hand crafted) we do not like the idea of our products sitting on a shelf for years which could make it dead and inactive. We only create products that are fresh, potent and active. AGG: Can you talk us through the ranges capsule collection? The Chocolate Cleansing Balm (£50 for 100 ml) is a unique first of its kind product. It is scented like chocolate and contains an impressive array of antioxidant rich ingredients that help to neutralise free radicals, hydrate, nourish and most importantly, cleanse the skin. The cleanser emulsifies on contact with water for easy removal and leaves skin radiant, super soft and ready for the next step in one’s regimen. This cleansing balm is very luxurious and does not contain any pore clogging waxes. The cleanser also comes with a 100% organic cotton muslin cloth. The Rose Radiance Toning Mist (£42 for 100 ml – discontinued) is like an anti ageing serum in liquid form. It contains water based anti ageing actives, vitamins and polyphenols that aim to stimulate collagen and elastin production and protect against premature ageing. It is exceptionally rich in hydrating organic floral waters. It also benefits from containing gentle exfoliants that enhances radiant skin. The Orchid Cellular Protection Oil (£75 for 20 ml) has been designed to act as a shield and protect skin cells against the environmental elements such as UV light, pollution and stress. It has also been designed to intensely nourish and hydrate the skin whilst preventing premature signs of ageing such as fine lines and wrinkles. Follow with a sunscreen during the day for all your skin’s full protection needs. The Pink Lotus Cellular Repair Oil (£85 for 20 ml) is a lightweight oil that aims to restore elasticity, repair and reduce fine lines and wrinkles without the need of synthetic ingredients. Pink Lotus Cellular Repair Oil has been designed to work on a cellular level and contains the best plant based actives all in one powerful formula, aiding the skin’s natural skin cell renewal and collagen production processes, providing the user with a radiant and youthful appearance. We recommend using Pink Lotus Cellular Repair Oil at night, as at night is the key time for cellular regeneration. During this period our skin is shielded away from environmental aggressors such as sunlight and can focus on cellular repair. AGG: Who is the range designed for? The range has been designed for those that want effective anti ageing products both to prevent premature signs of ageing and also to correct them. Our products are suitable for all skin types when used in the correct way. The Chocolate Cleansing Balm, Orchid Cellular Protection Oil and Pink Lotus Cellular Repair Oil are all suitable for vegans. All of our products are 100% natural and are housed in 100% recyclable packaging. All our products are handmade with care in small batches. Thank you so much for Danny and Scott for their insightful answers, the ingredients and formulations sound wonderful! 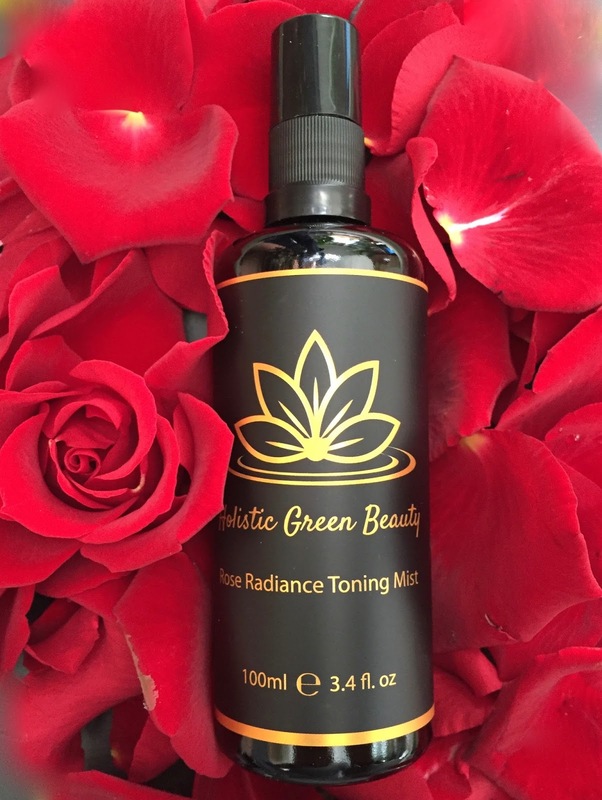 You can shop the full range at www.holisticgreenbeauty.com.